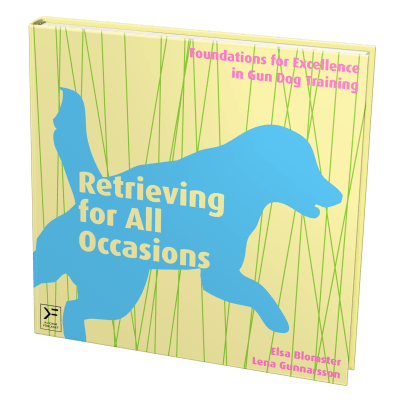 We’ve just started another round of our online course on the foundation skills of the retrieve. In one of the first lessons, we of course introduce our favourite game, ”the switching game”, and how you can begin, proceed and really get into the retrieve with just this one game. 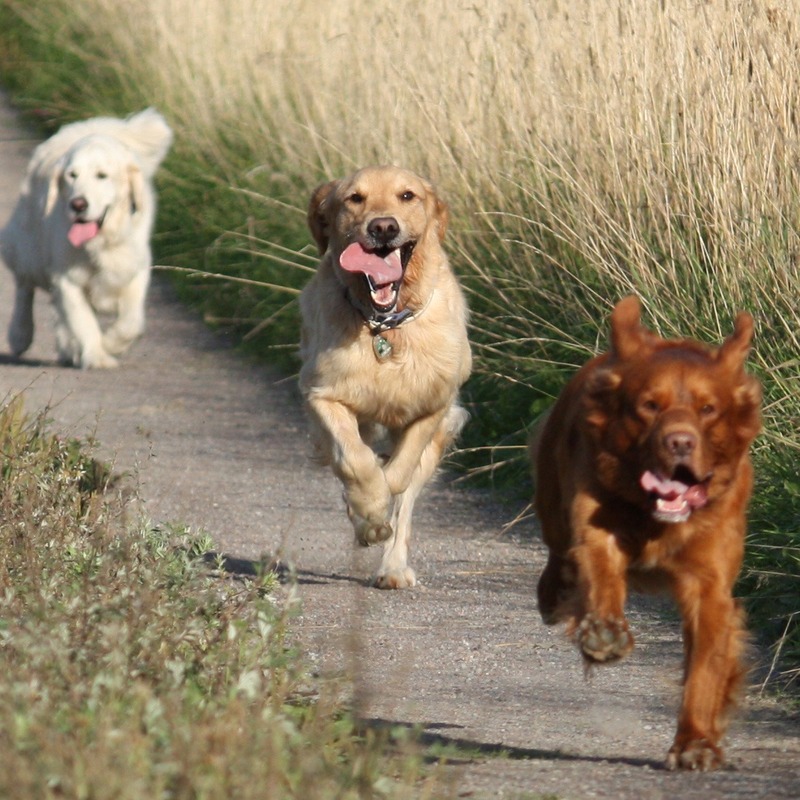 We arranged a clinic with Maria a while ago, aimed mostly towards instructors working with obedience. I was happy to hear Maria give more advice on how you can progress with the game. 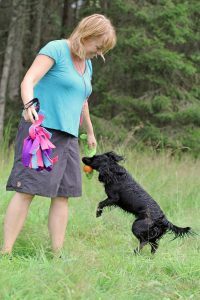 In the video in Maria’s post 140 instructors in two days, you can see how she, among other things, shows how you can use this game if you have a dog that wants to keep the toys to itself. In one of our online courses, I replied to one of the students with a short video (no, I don’t do that every time but it happens sometimes when I have the time and I feel that a video would explain better than words). The purpose of the video was to show how the behaviour of switching on my cue becomes fluent by playing the game so often, that I then can begin shifting the game to mean quickly coming back to me with the toy, even if I have let the toy go. It’s a great exercise for dogs that like to keep the objects. I think I’ll play it with Totte a bit. 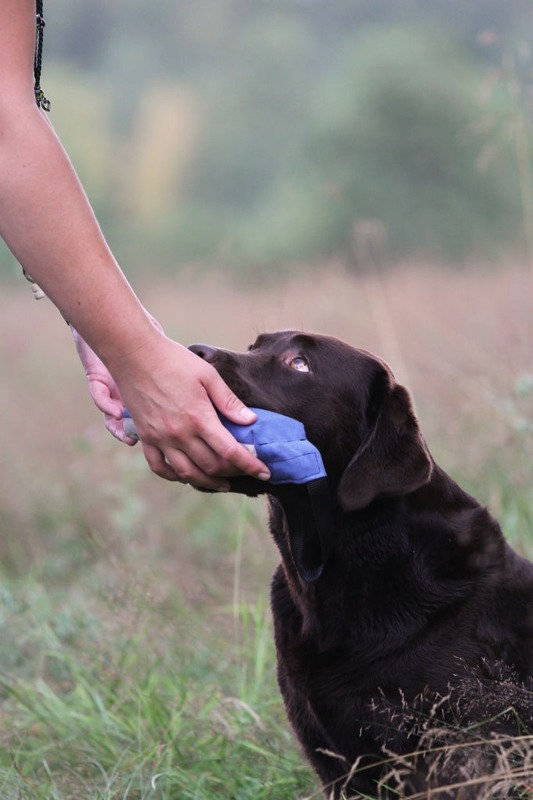 When he was a puppy he wouldn’t even happen to bring something to me by mistake– and sometimes that behaviour resurfaces…. 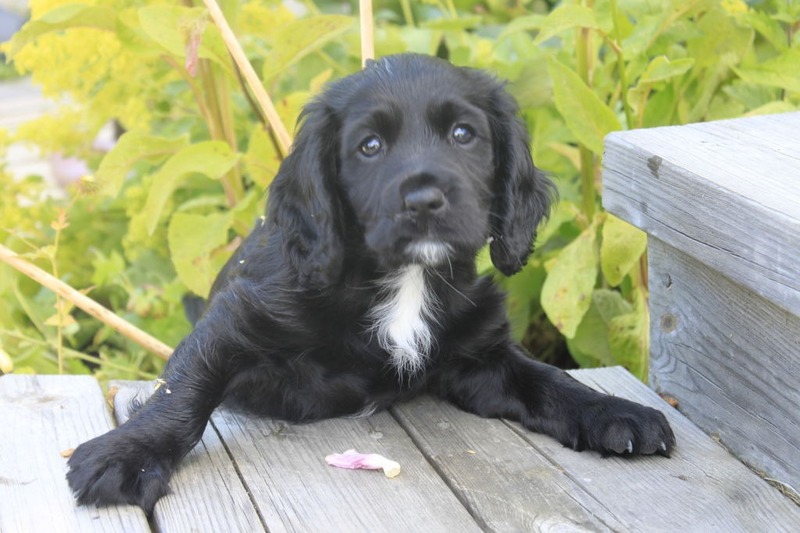 With a puppy, you can normally progress through this game really quickly, but I’ve had older dogs in my classes whom have learnt all the steps in record time. 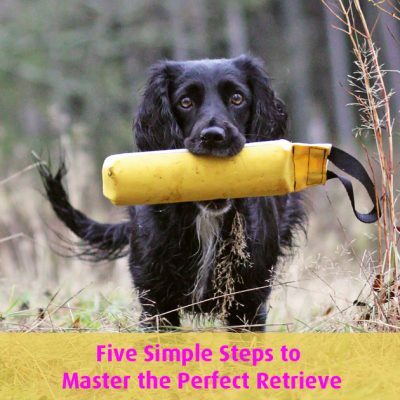 If you want to take an online course about retrieving, you can join us now (or later). You’ll work through the course in your own time from when you sign up and 4-6 months to come (depending on which course you chose). 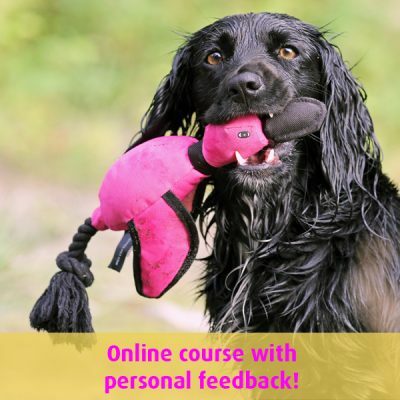 Read more about our online courses here!